Three members of my family had an involvement and thus far this is what I have gleaned. From a general point of view LEBUS was seen as a good local employer and as such took on board those from the local vicinity. We then come on to my mother Margaret Hartley Morley. She was also born in 1920. She seems to have been quite a bright individual and certainly had her matriculation and other qualifications. She and her parents resided in Lynmouth Avenue Bush Hill Park. I think she had plans to go elsewhere with her qualifications, yet somewhere late in 1938 she was appointed a comptometer operator. This machine was the forerunner of accounting machines and as far as I can gather as the war moved on she was given more responsibility. She left in 1944 and returned to a similar role in 1946 until 1949. In addition to her job she was also a LEBUS warden of some sort of description. This apparently was unpaid. 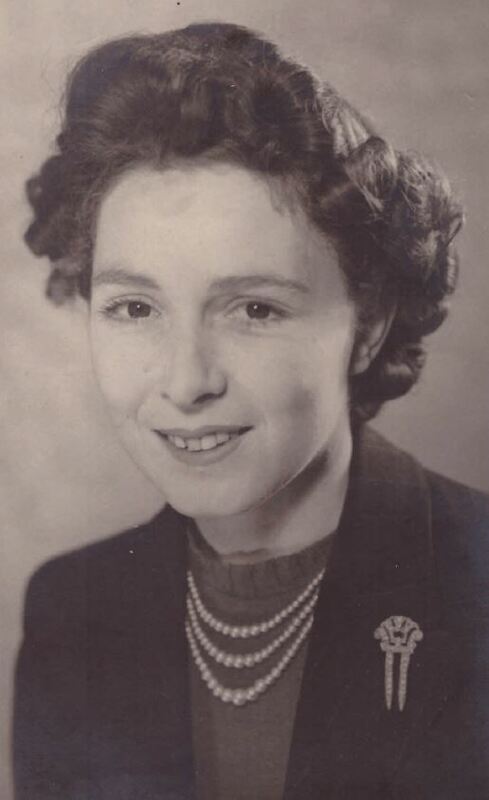 The only other bit of information I can give is that she told me in her later years the factory was attacked during the Blitz (although not sure how many times) and a bit of straffing a little later. She died in 1998. 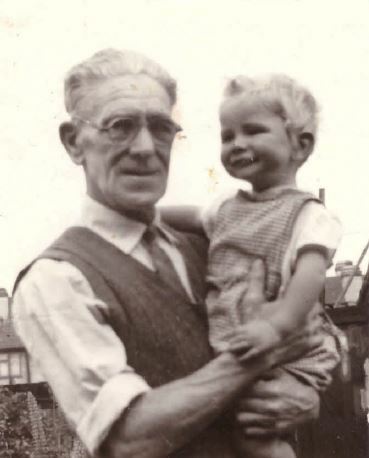 We then come on to my grand father Herbert James Morley. One item I have established is that LEBUS looked kindly on former service people and Masonic Lodge people. LEBUS may have had its own Lodge – if not it was very local and had many LEBUS employees within their ranks. My grandfather was both. He signed up to the 3rd Middlesex Regiment in 1912 and actually came out of the army in 1922. He was injured in World War One. Like a lot of people, the army trained him in a specific craft or trade and in Herbert’s case this was as a Carpenter/Joiner and Cabinet Maker. He was certainly employed as such by LEBUS in 1922 although it appears there were long periods of being laid off. Nothing like these days. If there was no work he would be told at the end of his shift, to take his tools and go home until called back. No pay. If someone walked down the street carrying their tools everyone knew it was a lay off. From what I can glean it was not until 1938 there was a stretch of long term work and World War Two was a good time for employment being continuous throughout. He was also a Home Guard or ARP Warden at night. Again with limited evidence I believe my grand father did work on The Mosquito fighter/bomber in view of his skills and trade. He died in 1953. 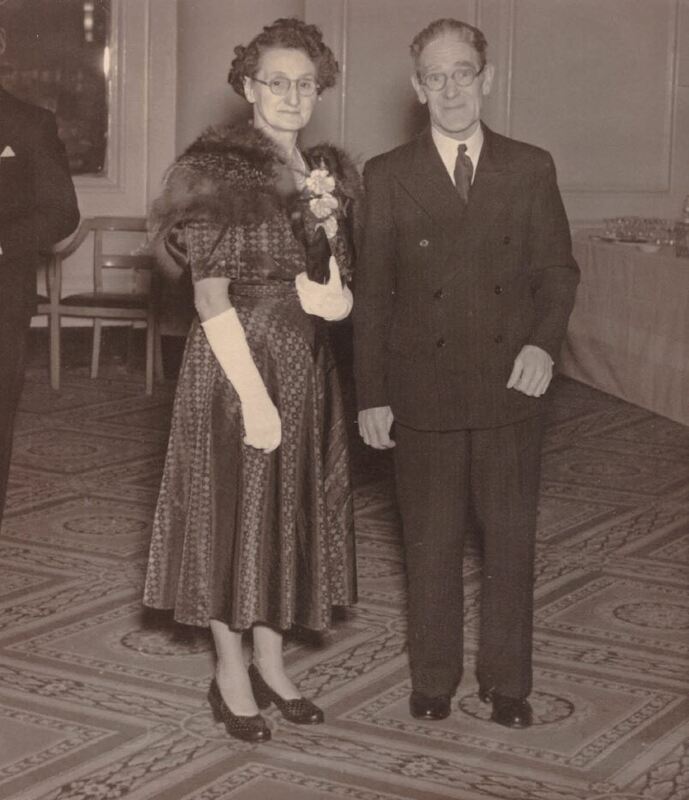 The first photograph is of Alfred Lewis (Mac) McGuinness who worked as a Clerk at LEBUS. 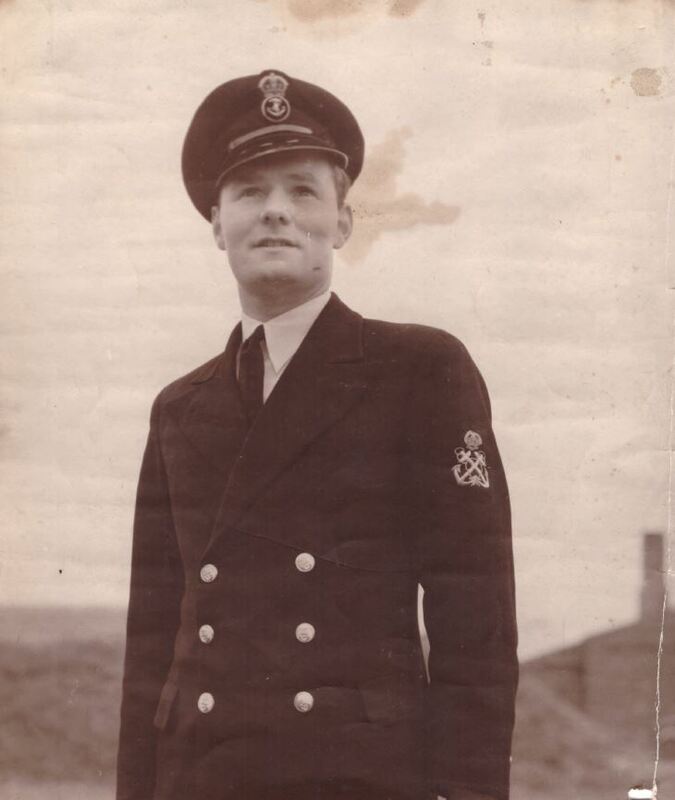 He volunteered at the Enfield Recruitment Office in October 1939 and started his training in January 1940. 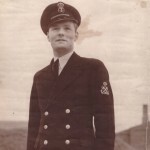 The photograph was taken after he was on board HMS Victorious although this must have been shore leave as the cap did not disclose the name of the vessel. Photograph taken late 1941 when he was 21. 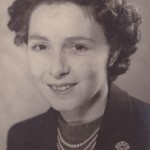 The second photograph is of my mother Margaret Hartley (Peggy) Morley, this was photographed on 4th May 1941 her 21st birthday and she was definitely employed by LEBUS then. 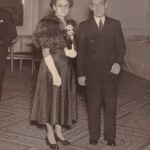 The third photograph is of Herbert James Morley, my grandfather along with my grand mother Mary Paulin Morley (nee Hartley). As you know Herbert was a Carpenter/Joiner and Cabinet Maker and employed by LEBUS on and off from 1922. This photo was either at a LEBUS “do” although I do not know where or a Lodge “do” similarly. As far as I can gather this photograph was taken around the end of The War. 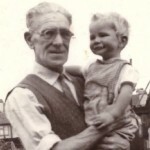 The fourth photograph is of me with my grandfather in early 1953 before Herbert’s death. The photograph was taken at the house in Lynmouth Avenue, Bush Hill Park where the family lived throughout the LEBUS years.